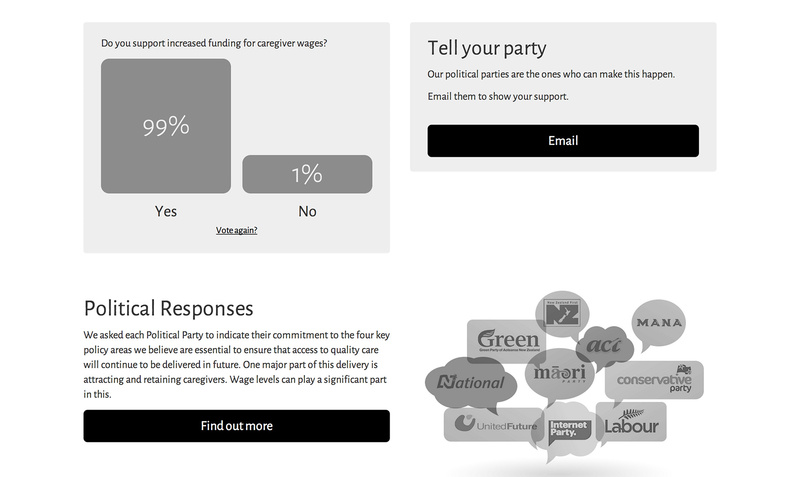 whocares.org.nz is a site dedicated to getting better wages for New Zealand carers. 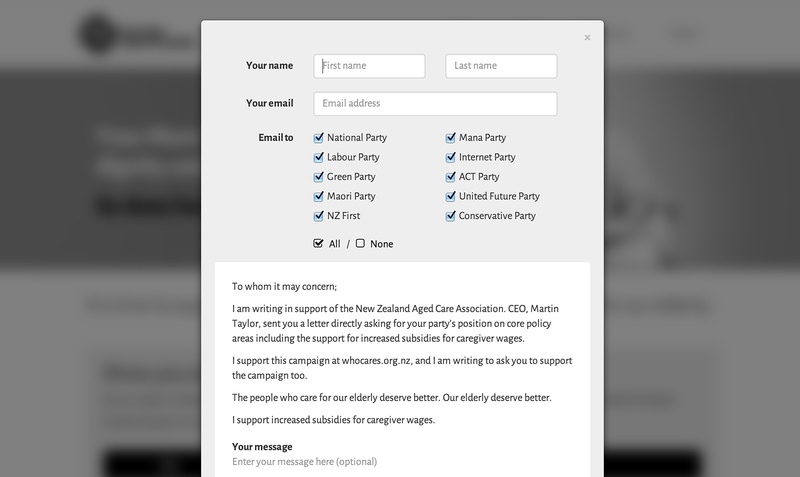 On top of the usual responsive styling there is also a voting system and an email form to quickly email all the political parties with your message for support. Built on the SilverStripe CMS for simple and fast content updates. Design by Capiche Design. 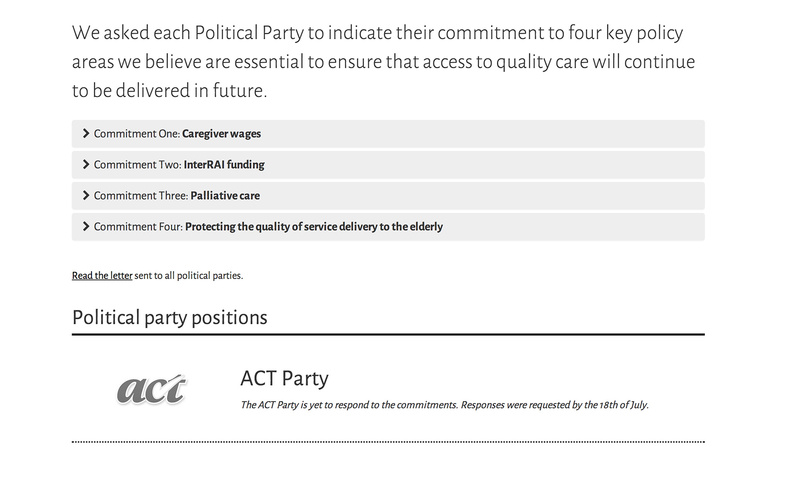 UPDATE: The website has now been taken down for the NZ elections.